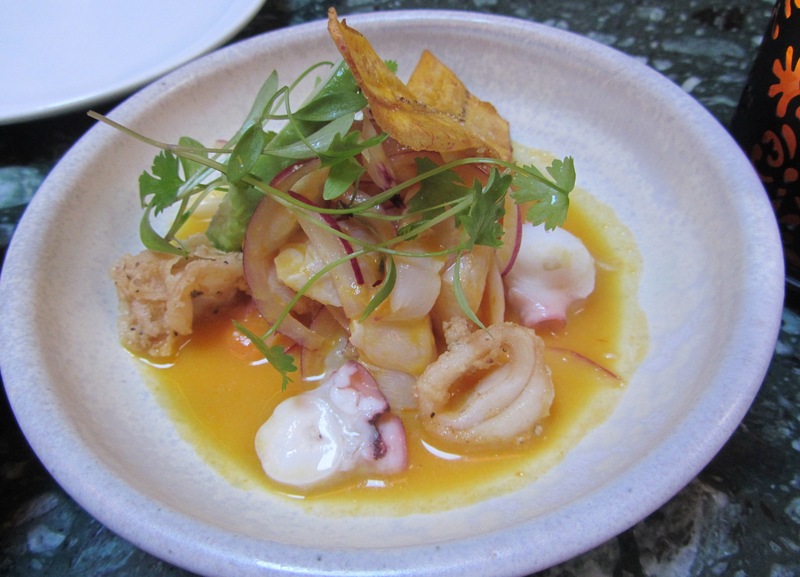 I have a confession to make about Peruvian restaurants; until a couple of years ago, I had no idea that Peruvian cuisine had become so popular in London. 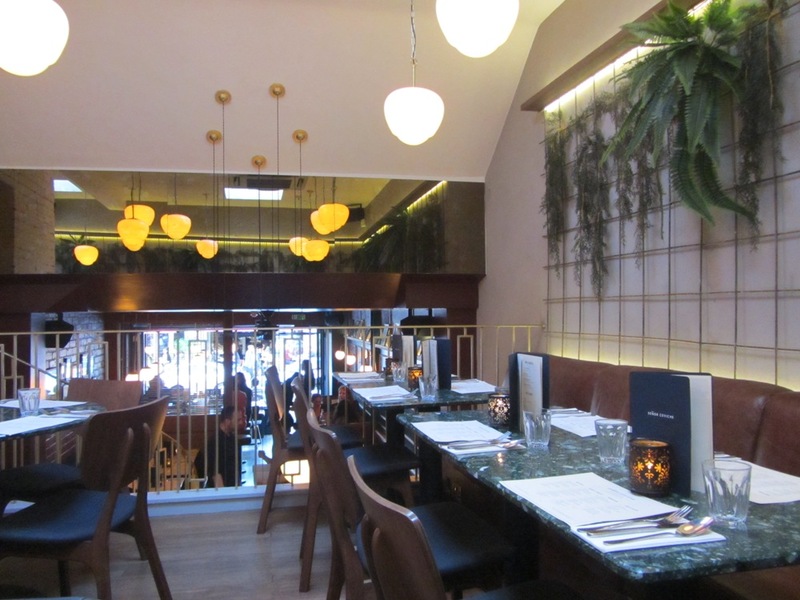 Asked to attend a Pisco Sour evening in one on Frith Street, I bowled into the first Peruvian restaurant that I came to on Frith Street and told the rather bemused maitre’d that I was there on behalf of London-Unattached for a review. After a little confusion and consultation, we were sat at the bar and duly poured some Pisco Sours which we enjoyed with bar snacks, whilst looking at the rather fabulous cookbook. I checked my emails and went cold – we were in the wrong place, we were, in fact, due in another Peruvian restaurant 2 doors away. Trying not to look too obvious, we thanked everyone, left, and turned up at the second place in time for a tour of the kitchen and another Pisco Sour. 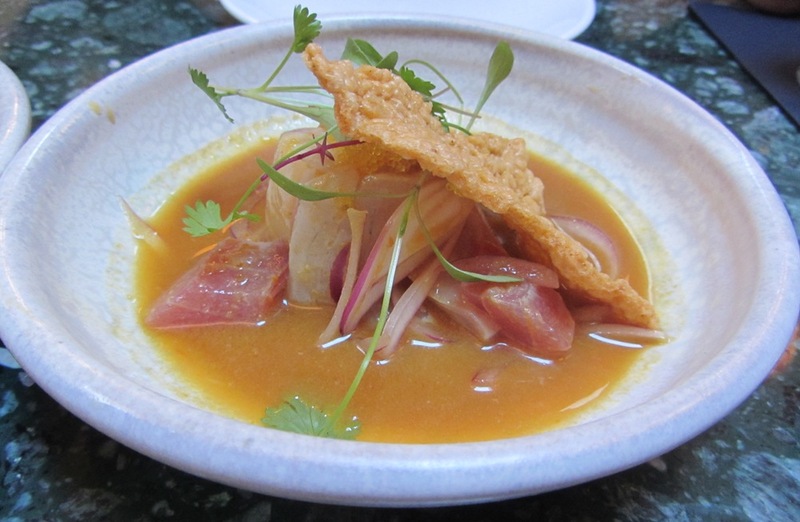 So when an invitation to review the Senor Ceviche arrived I was careful to check the address. I was hoping that there wouldn’t be the same room for error on Charlotte Street. We were advised to choose 3-4 dishes per person with a selection from each section. 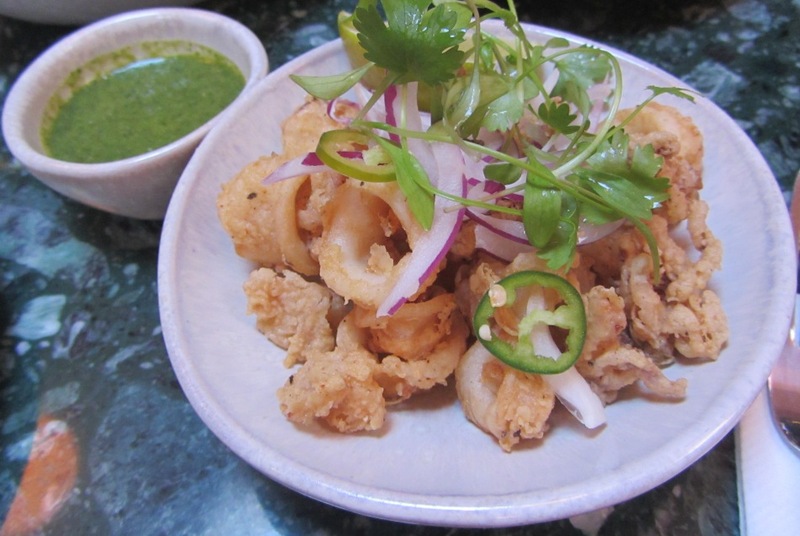 Alex chose crispy baby squid, which was perfectly cooked, crispy on the outside but the squid soft and not in the least bit chewy on the inside. The accompanying dip was just gorgeous, owing it’s vibrant green colour to spinach. 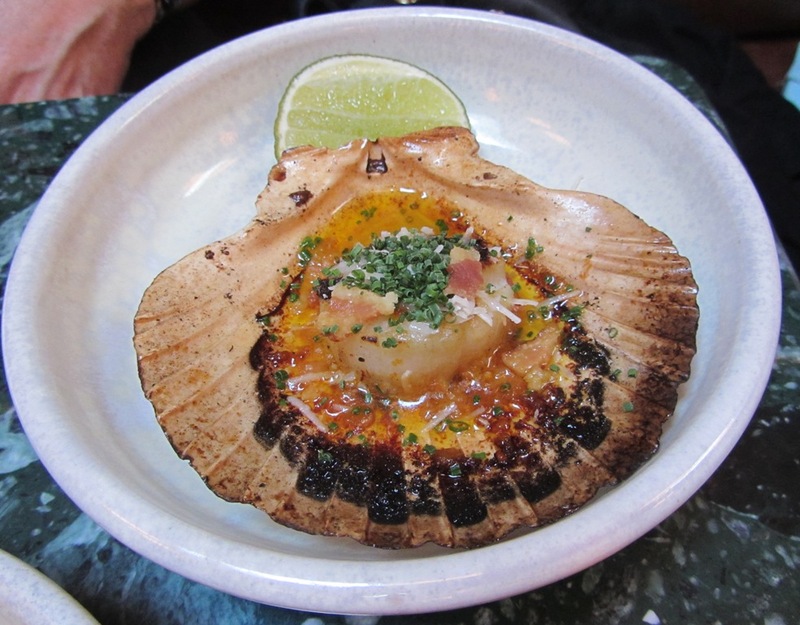 I enjoyed a scallop which had been shown a griddle, and then served on a shell with a delicious sauce, finely chopped chives, and a squeeze of lime. From the ceviche section Alex chose sea bass and squid ceviche, whilst I opted for tuna and sea bass ceviche. To be honest, this is my idea of ‘girl food’ heaven; beautiful low-fat fish served with bright and zingy flavours. 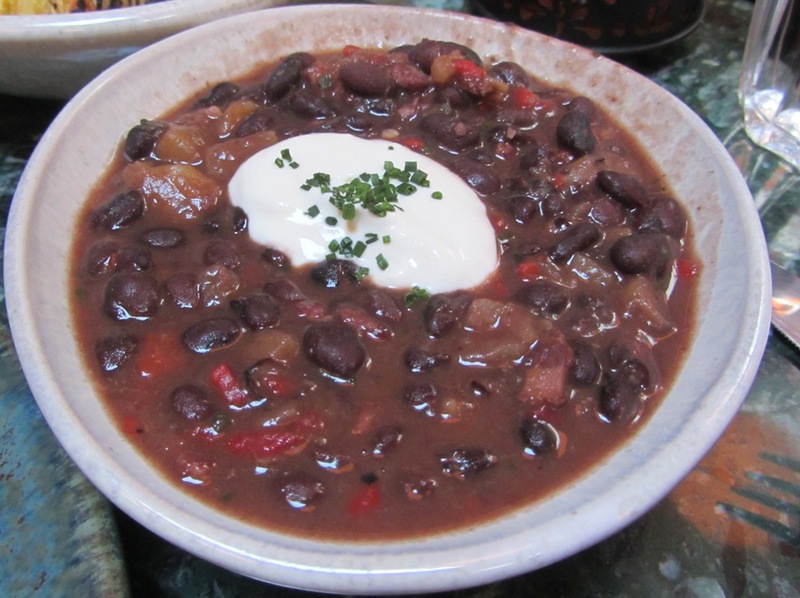 We initially started with one dish from the BBQ, the baby back marinated pork ribs, and had these accompanied with black beans cooked with bacon and served with sour cream. 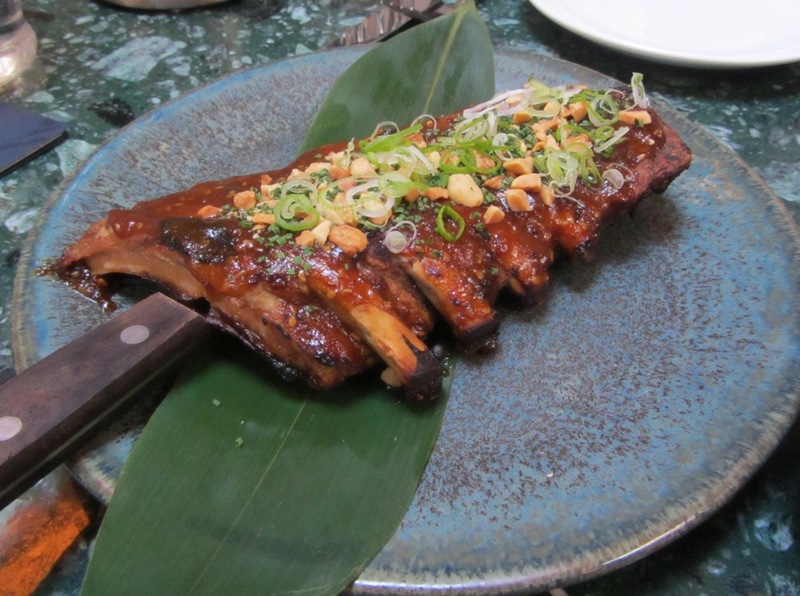 The ribs were incredibly tender and just fell away from the bone, and the beans a lovely comforting sort of dish. They disappeared rather quickly. After a little pause, we decided that a bit more meat was required. 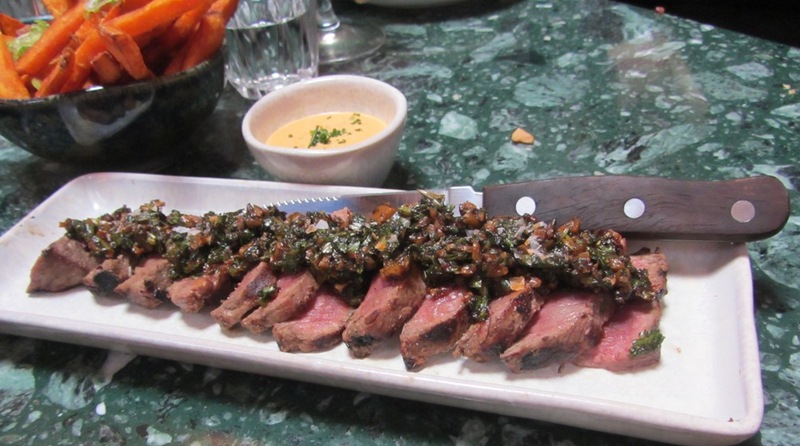 And so we ordered a steak cooked rare, with some sweet potato fries and char-grilled hispi cabbage. 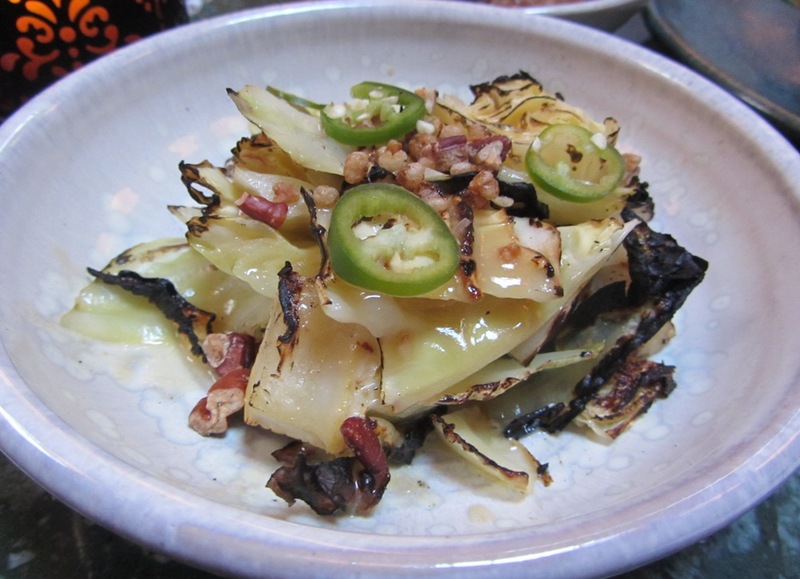 I loved the cabbage, and the steak was melt in the mouth tender. All of our food was cooked to perfection, with care and thought being given to the presentation. I absolutely loved the meal (although I ate too much to feel in any way virtuous) and will be visiting again when I’m next in the area. Place all the ingredients in a shaker and fill with ice.